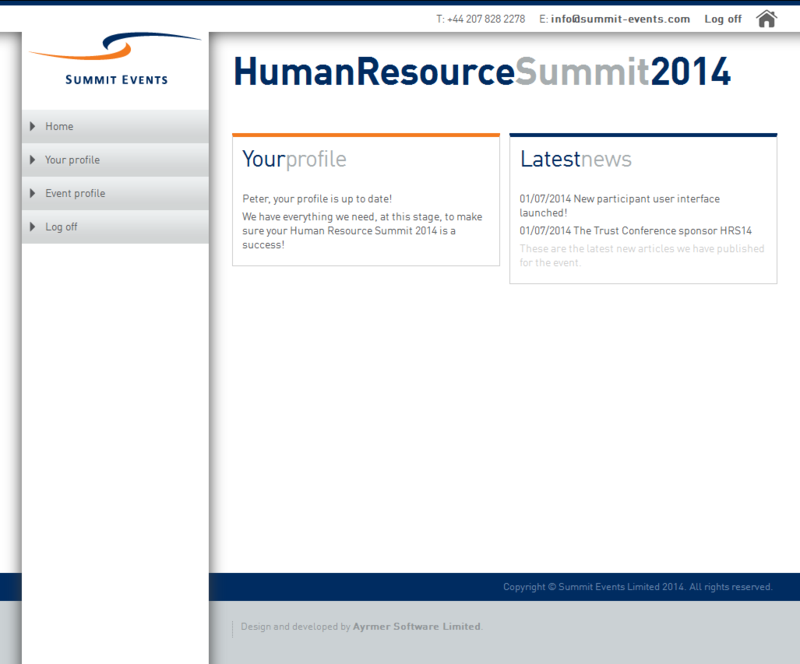 We have developed a number of event management systems, most notably for Summit Events Limited - who are a specialist events organiser that focus on Human Resources Summits - and NRG Business Networks Limited. Summit Events Limited website provides a complete solution for their business and is used on a daily basis by their staff as a Client Relationship Management (CRM) system. The system allows them to set-up events, collect information from the event participants - via a user friendly user interface - and manage the entire event; everything from flights, accommodation, one-to-one business meetings and mealtime seating plans. NRG Business Networks Limited website is a subscription based network system that handles membership, calendars and bookings, the logistical planning of the business network events - including seating plans - and all of the financials. Membership and booking fees are processed seamlessly through SagePay.